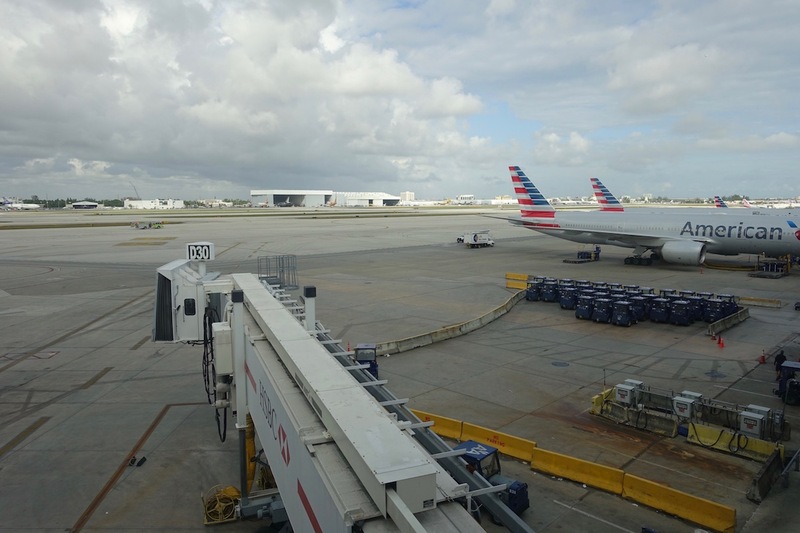 Earlier I published my review of American’s new Flagship Lounge at Miami Airport, which I had access to on account of my oneworld Sapphire status with British Airways. It’s a beautiful new lounge, and a quantum leap compared to the old lounge setup at the airport. 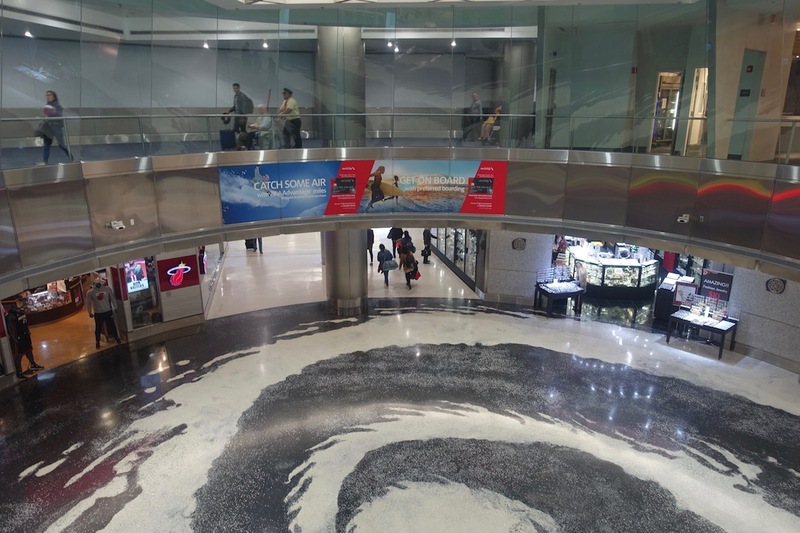 Miami Airport has gone from an airport worth avoiding as a premium American passenger to one that’s now very pleasant to pass through. 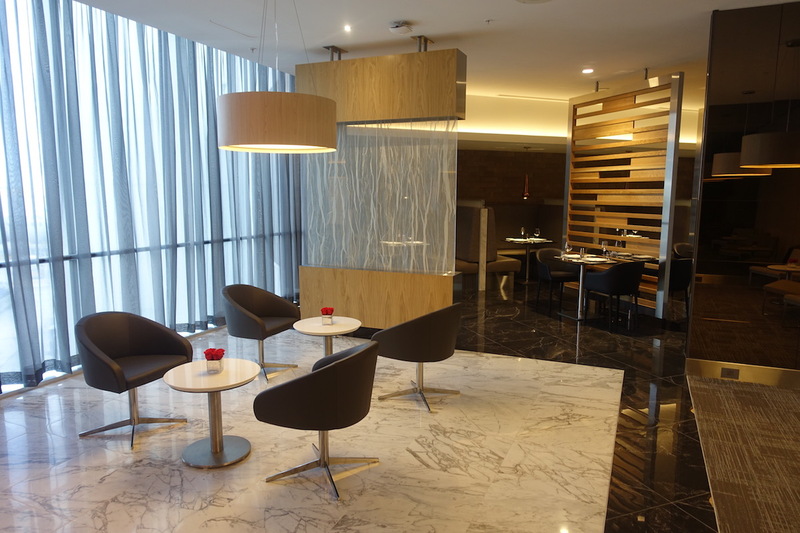 One of the other unique features of the lounge is that it has a Flagship First Dining facility. American had invited me to attend the opening event for the lounge, though it didn’t fit into my schedule. They were kind enough to extend an invitation to visit it when I next pass through Miami, which is how I had the chance to visit the lounge. So I was “comped” access here, though I did have access to the Flagship Lounge on account of my ticket. 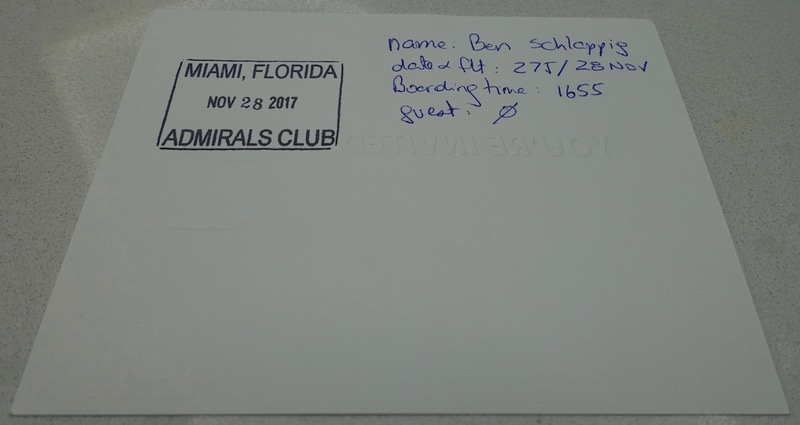 While I prefer to review lounges on account of my actual tickets, in this case I had no plans to otherwise pass through Miami soon, so I figured some review was better than none. I happened to be visiting the lounge the same time as View from the Wing and Pizza in Motion (it’s funny, it wasn’t planned this way), so the three of us ended up eating together. Who has access to American Flagship First Dining? That’s not a lot of passengers at all, especially for the Miami facility. What airports have American Flagship First Dining? 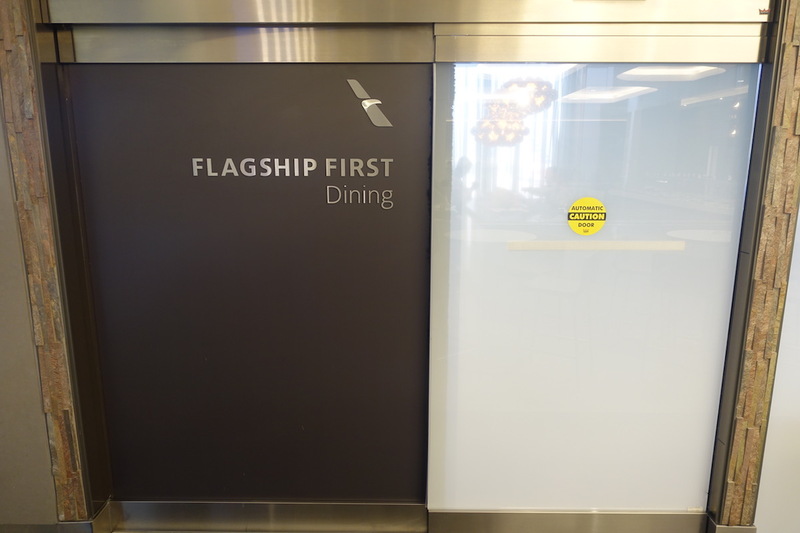 American’s first Flagship First Dining facility opened earlier this year at JFK, and I reviewed that in September (I was flying American first class from New York to Los Angeles). 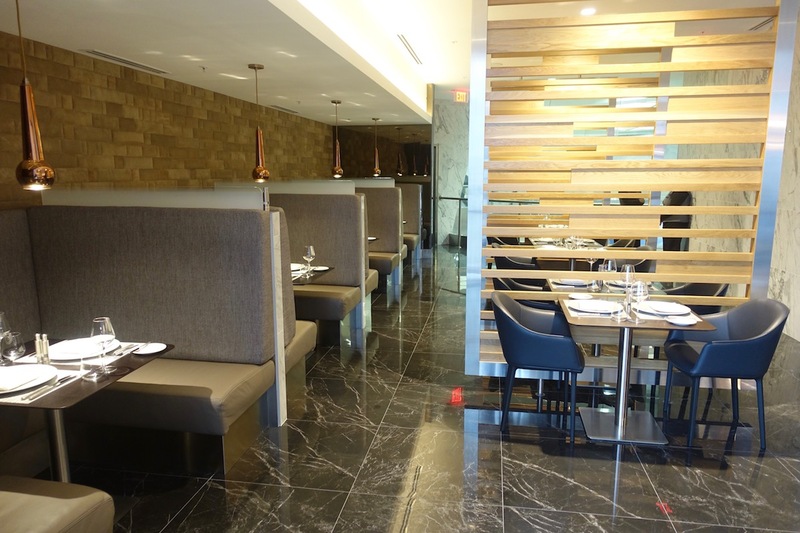 Miami’s Flagship First Dining is the second such facility to open. A similar one should open in Los Angeles next month, and then Dallas and London should be getting similar facilities in 2018. 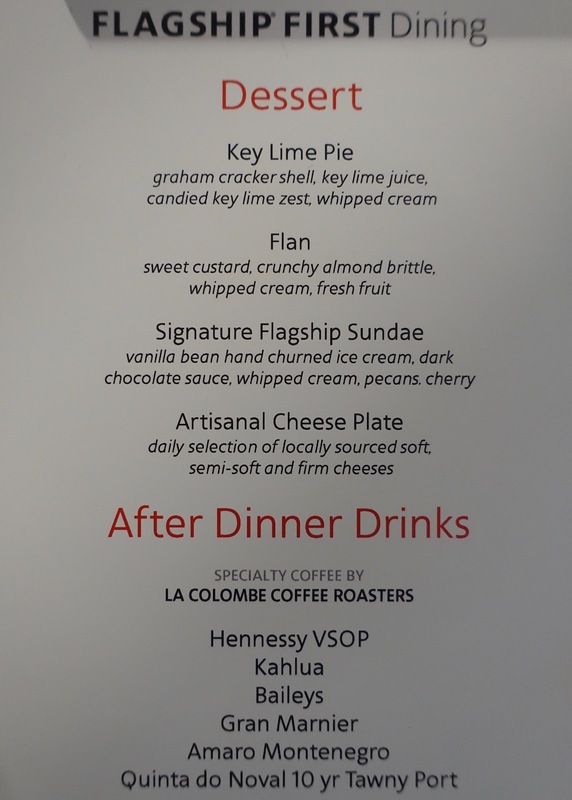 What are the hours for American’s Flagship First Dining Miami? While the Flagship Lounge is open daily from 4:30AM until 10:30PM, Flagship First Dining is only open from 2PM until 10:30PM. That’s because American really only has three 777-300ERs out of Miami, to Buenos Aires, London, and Sao Paulo. With each plane having eight first class seats, that’s at most 24 passengers flying first class nonstop out of Miami (however, if you’re connecting to international first class same day, that does the trick as well). 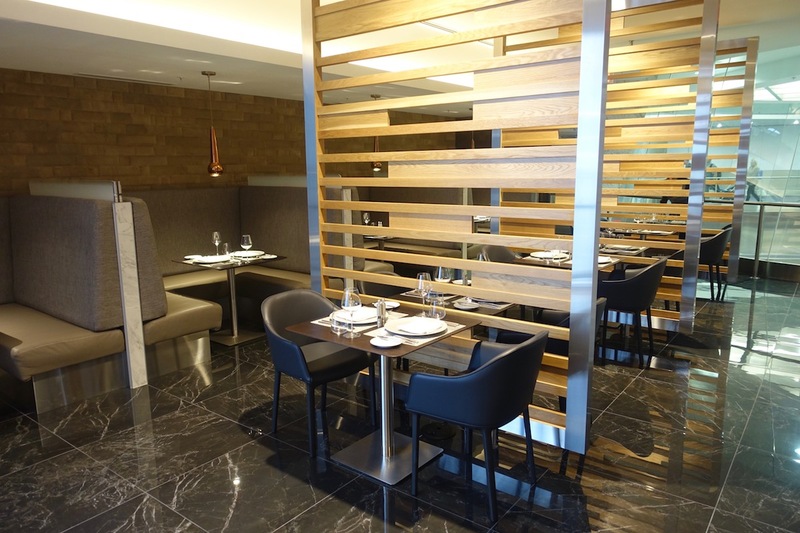 Where is American’s Flagship First Dining Miami located? It’s located inside the Flagship Lounge near gate D30. 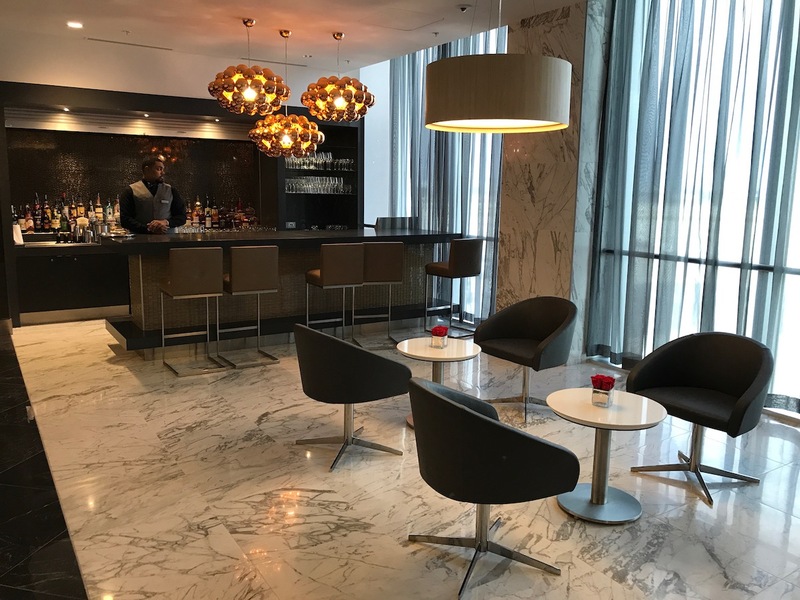 If you’re eligible for access you’ll be given an invitation when you enter the lounge, which is a little card that has your flight number and info written on the back of it. Once you’re in the lounge just walk towards the main dining area, and then on the side you’ll see the door to the Flagship First Dining facility. Just inside the entrance to the lounge is a host stand, where a friendly guy took our invitations and escorted us to a table. The facility is stunning. American really has done a spectacularly good job with how they’ve designed these. Just inside the entrance is the main bar area, which has five high-top seats. Then there’s more of a casual seating area, with four seats in the center of the lounge, and then four more along the wall. Past that is the main dining area. The lounge has 10 tables that seat a total of 20 people. Each table seats two people, and there are four booths and six tables. I like that they have partitions between each of the tables to create more of a sense of privacy. I love the booths, especially if traveling alone, as there’s plenty of room to set up a laptop and get comfortable. The other tables are perfectly nice as well. Since there were three of us, they pushed two tables together. As far as the lounge’s views go, the area near the bar overlooks the apron and runways. However, the other side of the dining facility overlooks the interior of the terminal, which is less inspiring. While the design between the Flagship First Dining facilities in New York and Miami are almost identical, I prefer the New York one since the entire space has amazing views of the runway. We were presented with the main menu and wine line list as soon as we sat down, which were on beautiful wood clipboards with American branding on them. I couldn’t believe how well staffed the lounge was — there was a host, a bartender, at least two servers, and presumably at least one person in the kitchen. I guess that’s what’s needed to run anything resembling a restaurant, but keep in mind that presumably fewer than two dozen people per day have access to this facility. 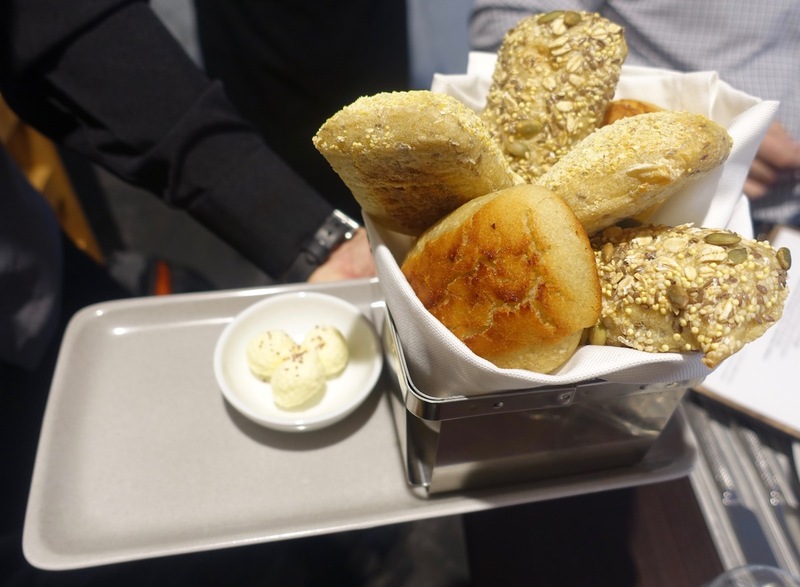 Moments after settling in, one of the servers came around to present a selection of bread from a basket. We were also offered our choice of still or sparkling water, which was served with a cute plate of lemons and limes. To drink I ordered the margarita picante. It was good, though didn’t wow me in the same way that the cocktails at the lounge in JFK did. Since there were three of us, we decided to order one of every appetizer. Let me say upfront that I thought the presentation of all the dishes was flawless. I was the only one who had the goat cheese croquette with chili honey and fresh lime. To me this was the best executed dish. 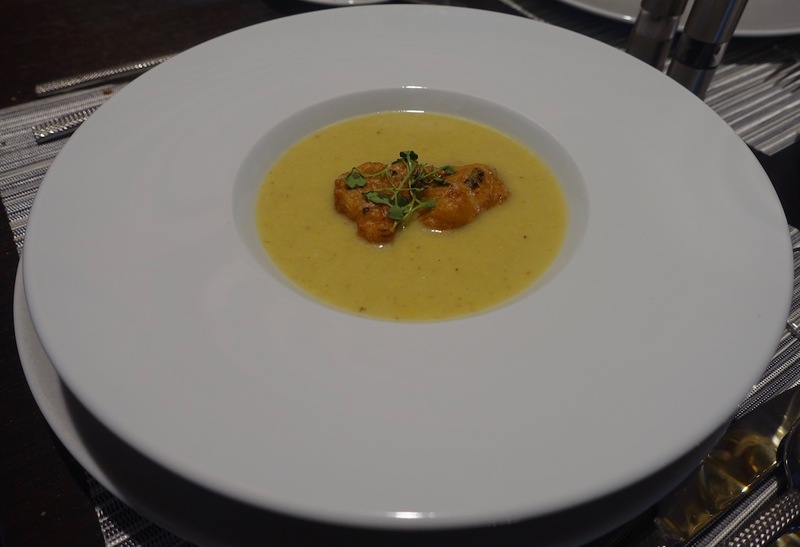 I had a spoon of the sweet corn chowder with jalapeno, bacon, and crab fritters. The presentation of the soup was great, and I appreciate that they pour the liquid into the plate at the table, which is a nice restaurant-style touch. I also ordered the classic ceviche, served with lime juice, onion, cilantro, and house made salsa. The type of fish varies based on the day, and in this case it was monkfish. 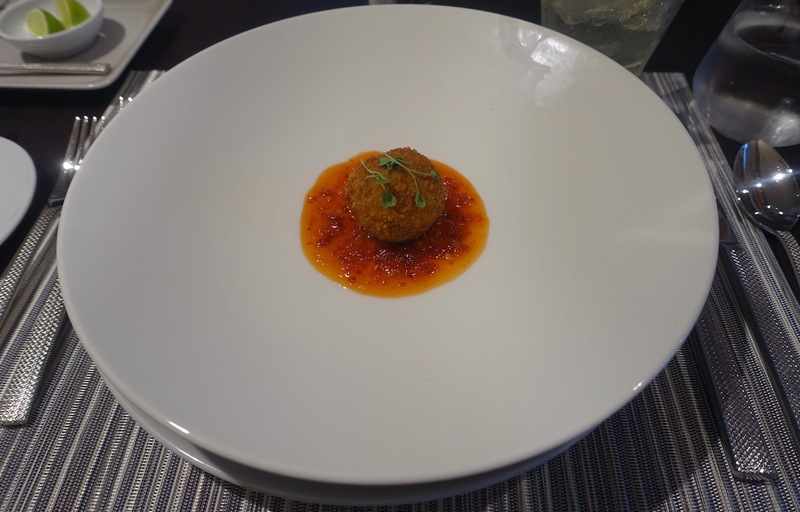 I’ve gotta say, I didn’t like this dish. The fish was chewy and slimy, and didn’t taste especially fresh… and I’m someone who usually loves ceviche. Then there were the crispy pork belly empanadas with oaxaca cheese, and sofrito sauce. I didn’t try these, since I generally stay away from pork. For the main course I ordered the tuna poke. 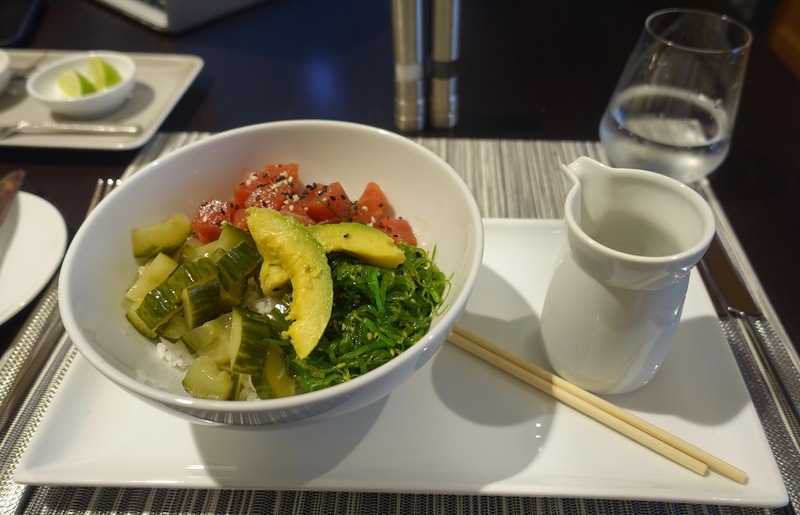 The tuna and avocado were excellent, though for me the rice was a miss. I would have preferred if they had warm rice, rather than room temperature rice that was almost congealed. Then there was the Flagship burger, which looked great. Unfortunately I had to stop my dining experience there. 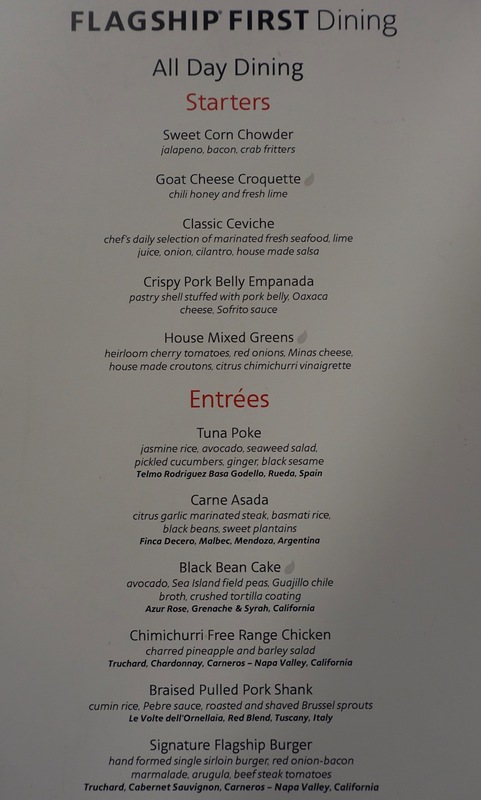 The lounge opens at 2PM and my flight was at 3:30PM (I changed to an earlier flight), so I missed out on the other main courses, though I feel like I got a good sense of the food options. I still can’t believe that this is a facility offered by Doug Parker & Co. The people who brought us US Airways are really offering something like this at an airport?! I have to pinch myself several times when in these facilities, because I can’t believe this is American Airlines. This lounge is such a tranquil space. Even if you’re not that hungry, being able to relax here in such an elegant space is a privilege. This also is for the most part a restaurant quality experience. Furthermore, the servers and hosts in the restaurant were friendly and well intentioned. It really is like dining in a restaurant. Our visit wasn’t totally without issue. The dining facility is supposed to open at 2PM, so we were there right as it was supposed to open. Okay, we figured they might be a few minutes late. At 2:05PM we asked a staff member walking by, she went in, and said they were still setting up. Five minutes later a manager saw us standing there and came over. He walked into the lounge and said that they’ve been open but that the door sensor wasn’t working. Maybe he really believed that, but clearly it wasn’t true, since a few minutes before someone walked in and said they were still setting up. This is minor, but I want to mention everything about the experience. The food in the lounge was good, though some of the dishes weren’t as excellent as the ones I’ve had in the Flagship Lounge JFK. In particular, the ceviche wasn’t good. Lastly, I think they need to work a bit on pacing the meals. When we sat down I told them I needed to be out of there within 45 minutes (by 3PM) so I could make my flight. So I placed an order and they confirmed they’d be able to get them for me in time. The food took a while to come out, and at 2:55PM I followed up on the main. Sure enough it was served at 3PM on the dot, exactly when I needed to leave. So I think they need to make sure they’re managing expectations there. It’s fine if they say something isn’t possible, but they at least have to tell people what is and isn’t realistic. When I visited the JFK Flagship Lounge, one of the only other guests in the lounge stormed out angry and was cussing because his meal wasn’t being served in time. I get running a restaurant can be tough, but at an airport this is even more important than elsewhere to manage timing expectations. Lastly, I’ve mentioned this before, but I wish they had a proper espresso machine in Flagship First Dining, rather than just one of those machines where you push a button. They want this to be a restaurant style experience, but I wouldn’t be happy if I went to a high end restaurant, ordered a cappuccino, and got one that clearly came out of a machine. I can’t believe this facility is run by a US airline. What a treat. Too bad such a limited number of people have access to it. I’ve said this a few times, but at the end of the day, they will either have to expand access to this amenity or scale back the amenity a bit. Not enough people have access to it for it to be worth it to run. Meh. I am born Miami. But, everything in this city is shotty. We once up’ed ourselves to being the 6th Borough of NYC. — the Southernmost point of Manhattan. Now. We are the uppermost point of Havana. AMEX Lounge is a total mess. We deal with anything AA here….. its like 60% of all traffic. Hope I can access at some point as a AA EXP member – at some point. Strange that they wouldn’t offer breakfast to those areiveinh from BA on AA F in the early morning. @ John — That’s true, I thought about that as well. Though I guess their thought is that it would be for at most 16 passengers, and chances are many of those have tight connections, are terminating in Miami, etc. I suspect it just isn’t worth the cost. Seems like AA is trying their best, but it’s still amazing that they miss essential things like quick timing. AA should take a lesson from the Lufthansa First Class Wining & Dining at JFK. The timing and service there are very good (they also open on time and come and retrieve you from the senator lounge if you are a bit early). It’s also nice to see AA offering a more premium champagne in the flagship dining, Taittinger 2009 vs. the non vintage Taittinger that was on the menu when you reviewed the JFK flagship dining. I don’t know if this was just a menu printing error? but regardless it seems logical that the flagship dining should offer a more premium champagne than the one offered in the flagship lounge (Bollinger). In any case I’m glad to see AA has upped their game in this regard. I’m flying AA First JFK-LHR in January (I redeemed 85,000 AA miles + $5.60) so I’m excited to try out the flagship dining and see if they’ve ironed out the kinks. What happened to the three class 777-300 departure to LAX? It used to leave around 5pm, but I do not see it available across the next week. Presumably if AA decides to reinstate this flight out of MIA, those Flagship First passengers would also have access, too, right? Another quick question on access; do inbound Flagship First passengers have access? If you’re arriving from LHR on a 777-300 flight and connecting to another AA flight, would you have access in that scenario? I guess the inbound South American 777-300 flights would arrive before the dining facility opens. I agree with your point re: expanding access. I feel like AA should run the numbers to see if access could be expanded to include ConciergeKey (or even EXP) on departing international Flagship Business flights. And one final point; completely agree that the Centurion Lounge is awful. I have complained many times. I often find there is not even a single free seat in the entire place and leave to go to the Admirals Club. @ Sam — It’s no longer operating. That’s because it used to continue to Sydney, but Sydney is now operated by a 787 rather than a 777. And yep, inbound passengers have access as well. While good in concept, in execution they have taken a lot of space away from the Flagship Lounge, which they expanded access too, and will be very crowded. Seems so strange to sit down to a full meal before they stuff you with food on an international first class flight. I guess they needed some way to differentiate from business class since the on-board products are so similar these days on AA. Personally, I would love to see a sleeper service meal in the lounge like BA offers for the short transatlantic hops so I can go right to sleep after takeoff. It would make sense for a lot of the flights out of PHL to Europe. Although I guess you can pretty much make a meal out of the food they have in the FL these days. 1 EZE, 2 GRU, 1 LHR flight 8 FC would be 32 max pax. 85,000 mi for a Gircl Class trip to Europe or South America in order to get in. 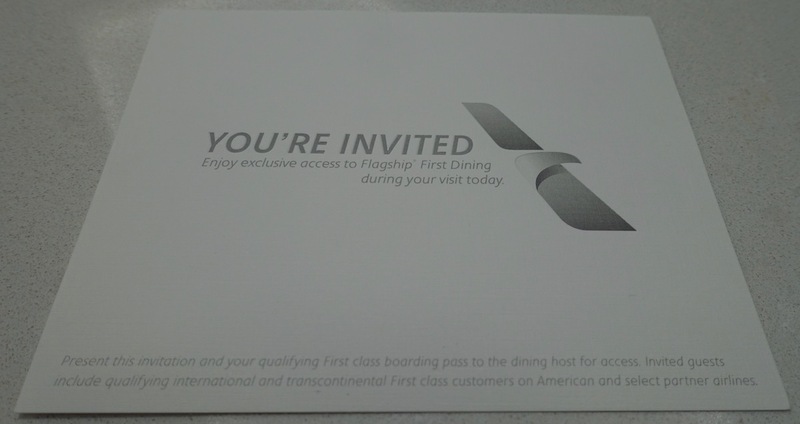 So can the flagship dining not be accessed if in BA first? I usually won’t go to a regular restaurant that has been open for less than a month because there are just so many service issues that need to be worked out for it to be an experience worth the money. This place has only been open about a week, give them a little time to get their act together. Also, with the food timing, they probably weren’t expecting every starter to be ordered when they said they could feed you in 1hour, Just saying…. New staff, new facility, these things take time to gel and develop a rhythm. Definitely not an apologist for AA, but it only seems fair. @ Till Eulenspiegel — Correct, BA passengers don’t get access. @Chris, I believe all of AA’s MIA flights are overnight flights. The idea is F customers, if they so choose, can enjoy a leisurely good-quality meal on the ground where their taste buds are fully perceptive, and then can just sleep onboard. I appreciate being able to do this on flights like JFK-LHR on BA or JFK-FRA on LH, for instance. @lucky. Thanks – i’ll be there on NYE flying back to LHR in BA First, so was hoping to try it out. No big deal – I’m sure we’ll enjoy the rest of the lounge. 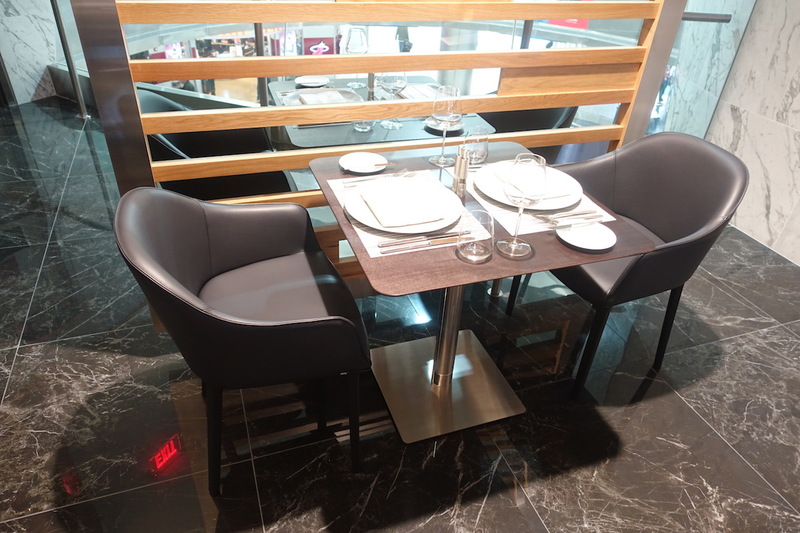 Dining looks fantastic, though – especially for a US lounge. Thanks for sharing. Would BA passengers flying F to Miami and connecting to a domestic or short haul AA flight have access as well? @ Airways and Travels — No they wouldn’t. Only American first class passengers, with the exception of Cathay Pacific passengers departing JFK, due to a special arrangement. This reminds me a lot of the Concorde Room. Those tall booths and the almost-comically oversized plates. Still, this actually looks like they hit the nail on the head, if they can make it last. The thing that always worries me, though, is that AA’s on-board product (crews and food) are so hit-or-miss, and usually it’s a miss. There’s an incongruity here now. 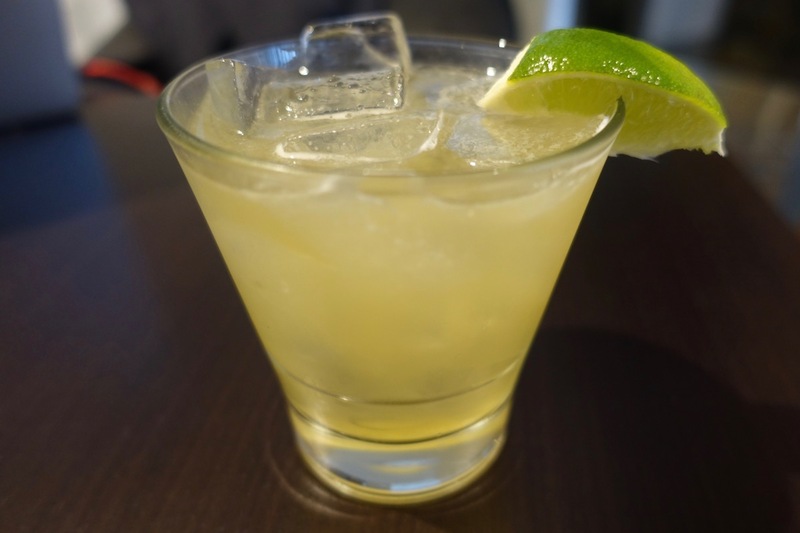 I’ve been to the Flagship Lounge at JFK (just a scant few weeks before Flagship First Dining opened, so I didn’t get to try it out) and had a great time. But once you leave the confines of the lounge/dining room, you’re thrust back into the reality of sometimes-palatable food served by “senior” FAs that bid for the flight and got it not because they love their job, but because they’ve been around a bit and enjoy the layover and tolerate the passengers long enough to endure the flight. I’d love to see AA take the time, care, and effort they’re putting into Flagship Everything, and focus that on their soft product. They clearly have someone that knows what they’re doing – or at least has taken cues from their QF and CX OneWorld partners. Ben, from my experience, the servers and hosts are friendly and well intentioned, but they are not professional and polished. They seem unsure at times, and could use someone in management to oversee the customer experience. The service in the Qantas F lounges is superior. Ben, maybe I’m remembering inaccurately but doesn’t AA also operate the three cabin A321T MIA -LAX? Poke never has warm rice. Arrived From LHR in First earlier this week connecting domestically in First and was denied access. I asked numerous staff. All had to check with someone – likely he same person, I imagine. According to my experience earlier this week you have to DEPART in 3 class First to gain entry, not ‘to/from’ as this article implies. The website isn’t clear either. The 77W flight MIA LAX with 3 cabins was operating earlier in the year but has not been used for many months now.